Say goodbye to charred hot dogs. It’s time to take your camp cooking to the next level with our favorite camping kitchen gear. Sure, a s’more can be fun, and a packet of tuna fills the tank, but there’s nothing better than making a truly tasty meal outside. Saddled up to the car at the campground or miles into the backcountry, dinner should be something you look forward to. 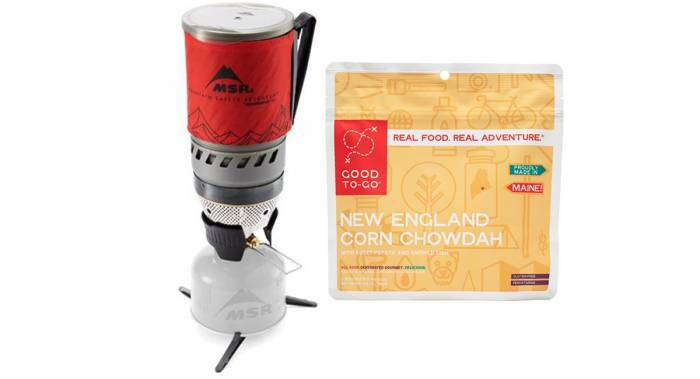 Whether checking items off your own list or giving to the camp chef in your life, these camp cooking gear favorites are sure to please. 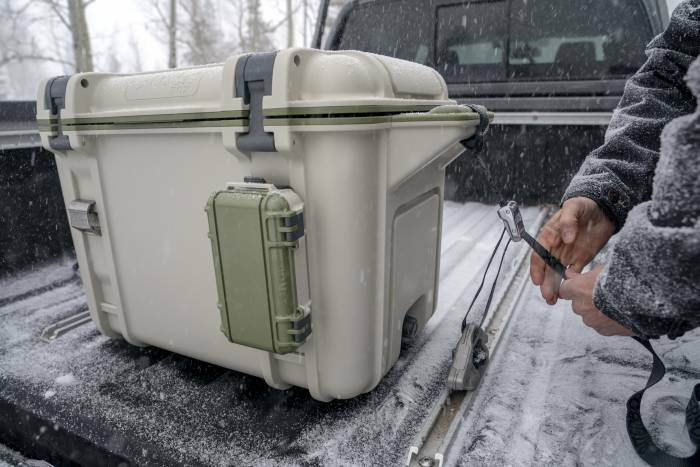 Designed in Colorado and made in the USA, the Venture Cooler is built to last. With excellent ice retention and a “true capacity” interior you can fill it up and get ready for a week in the woods. Customize the interior to suit your needs and enjoy the included dry storage tray and bottle opener. And you can rest easy knowing the latches are keeping contents in and critters out. Available in 25 liter, 45 liter, and 65 liter capacities. 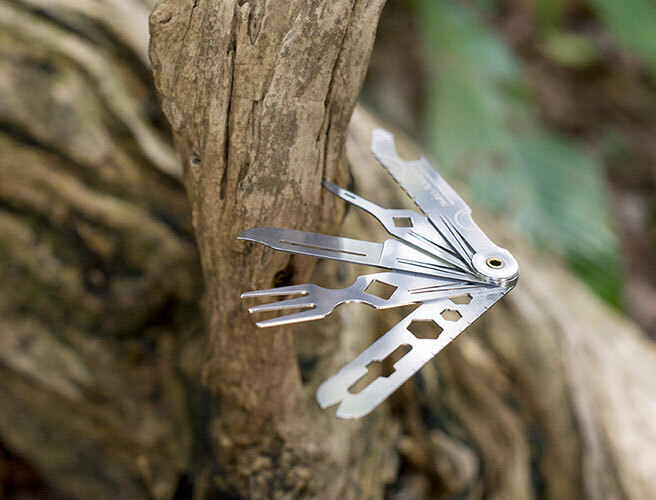 A multitool designed for your mouth, Sprongs are a fork, spoon, and tongs all in one. They clip together for easy tong pinching while cooking and then serve double duty as your go-to utensil while eating. Best of all, these made-in-the-USA workhorses are constructed with BPA-free nylon that can handle temps up to 400 degrees Fahrenheit. Sporks are so last year, so get with the times and grab some Sprongs. Vino lovers know: there’s nothing like enjoying a good glass of wine in a beautiful place. And with a YETI Rambler Wine Tumbler, you never again have to worry about broken glasses. Lounging on the boat, hanging by the pool, gathered round the campfire, or relaxing at home. 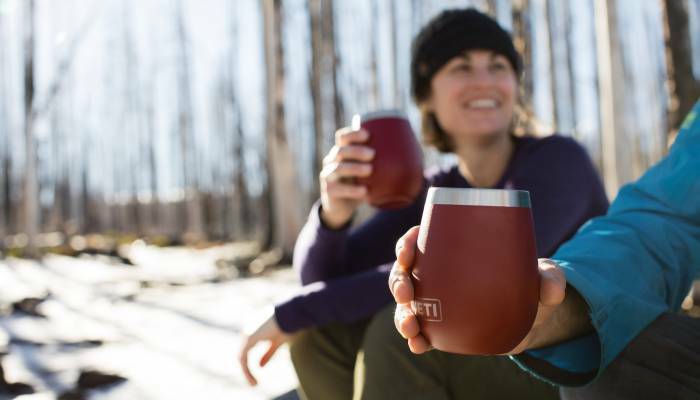 There’s no end to the places you can enjoy an insulated, shatterproof tumbler of cabernet. This is the perfect gift for the wine-loving, good-time-having people on your list. There’s nothing like sipping a good cup of coffee from the comfort of your sleeping bag. The Kuju Pocket PourOver comes preloaded with quality coffee grounds and snaps over the edge of your mug. Slowly add hot water, and voilá! You’re ready to go. From camping to traveling to office caffeine emergencies, this is the next best thing to a pocket-sized barista. Make camp cooking fun and easy with this dual-burner stove. 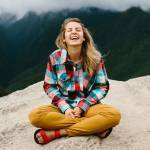 I used my Everest stove nearly every day while living and traveling in an old VW van. I appreciate that it’s fairly light, packs up in the car easily, and runs off easily found propane canisters. Plus, the integrated lid and sides stand up to provide protection from the wind. 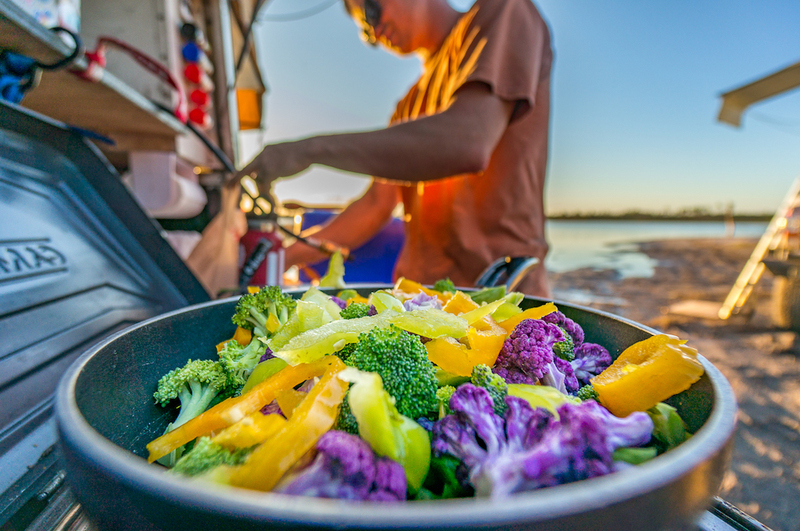 If you’re doing a lot of cooking while overlanding, or setting up a base camp in one location for an extended time, consider getting a larger propane tank and attachment hose to save on canister waste. And, of course, a cast-iron griddle is always a worthy addition for efficiently sizzling bacon and flipping flapjacks. A good multi-tool is a camp chef must-have. 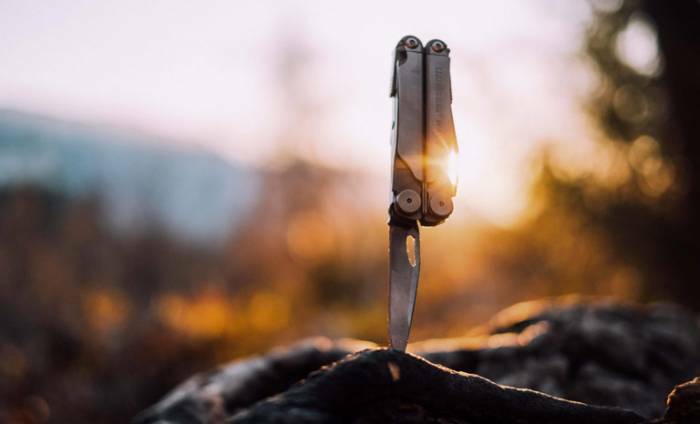 The Leatherman Wave+ has 18 tools, including pliers, a bottle opener, a can opener, and two different knives. Basically, it’s the most important thing in your camp kitchen. Ultra-durable and endlessly useful, it’s no wonder this multi-tool is an international bestseller. 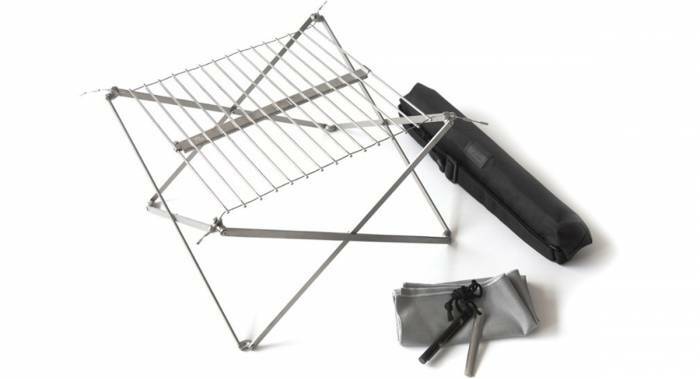 The ultimate portable griller, this kit packs down small and quickly turns any campfire into a cooking machine. Made completely of stainless steel it can withstand high heat and adjust to various heights depending on your cooking needs. Burgers, brats, kebabs, and more. This tiny grill grate can do it all. Chop, peel, slice, dice, and pop open the vino with this handy camping knife set. The kit includes a paring knife with built-in corkscrew, a serrated knife, and peeler. 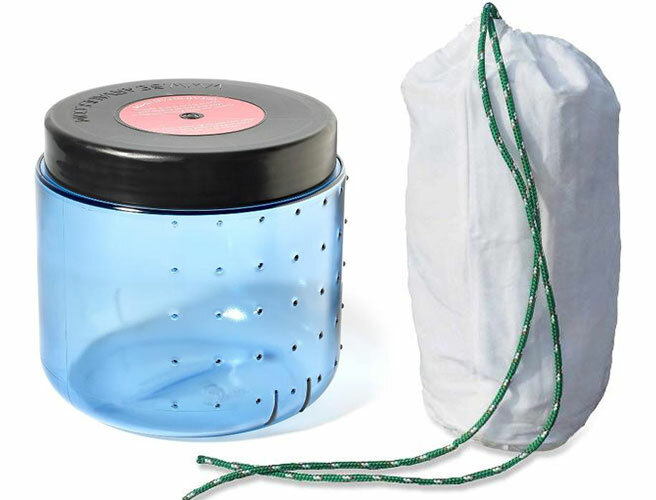 Each item folds into its own handle for space-saving storage and the included dish towel doubles as a storage pouch. Packable, portable, and multi-functional. You won’t be packing this into the backcountry, but if you want to go all out one weekend at the campground (or in the backyard) this is the ticket. Drop some pellets in the back, fire it up, and make restaurant-worthy pizzas. 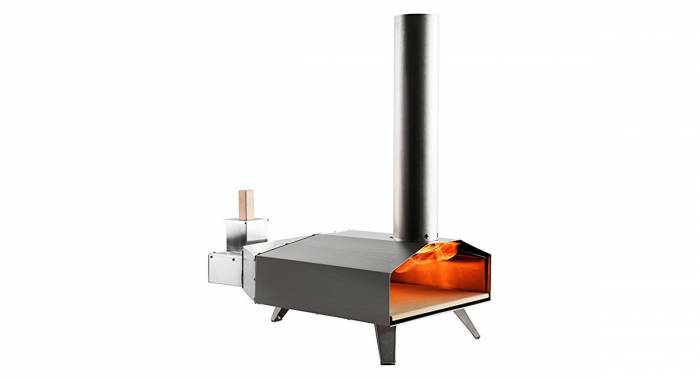 It can take a few tries to get the hang of the fire’s rhythm (or skip that and grab a gas burner), but once you reach full heat you’ll be rewarded with crispy, delicious pizza. Like a wok for the campsite, the Skottle could become your new favorite piece of camp gear. It’s ideal for overlanders, van lifers, car campers, and backyard barbecue enthusiasts. 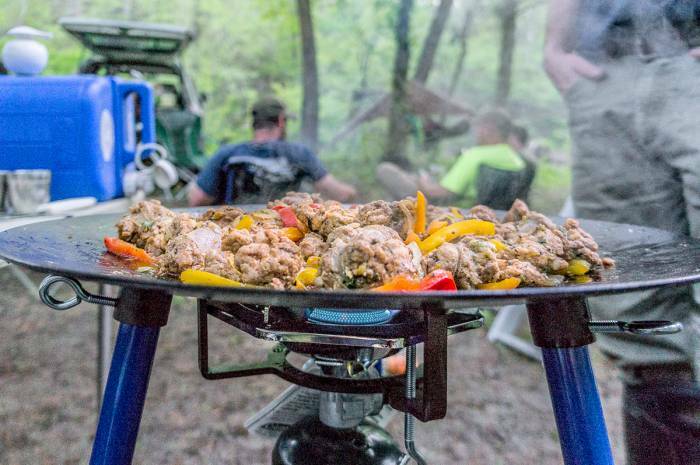 You can woo the crowd and feed the entire camp with the 18-inch disc that allows you to cook up large meals quickly and deliciously. It’s heavy-duty and hefty, so leave it behind when hiking, but be sure to bring it along when driving, car camping, tailgating, or firing up the grill. Read the full Skottle review here. Is your idea of camp cooking pouring boiling water into a pouch? Then this combo is for you. I used the MSR Windburner for more than 400 days while motorcycle-camping across America. It boiled water with impressive speed, packed down small, and lit without a problem no matter the stormy conditions. As for Good To-Go, the brand has completely changed my mind on dehydrated meals. Made from real food (seriously, the ingredient list only contains words you know and can pronounce), these tasty meals will instantly transport your taste buds from cold campsite to high-class restaurant. The pad thai is tasty, and the granola is my morning go-to. But for a real treat, go with the Thai curry. Or if you’re feeling adventurous, check out the newly released Corn Chowdah. There’s just something about an enamel mug that says “camping.” Handmade in Europe, this supersized 22-ounce mug is a camp kitchen must. Equally suited to getting caffeinated first thing in the morning as it is to slurping soup at night, this unbreakable mug is stylish, functional, and will last for years to come. On top of being downright adorable, this kettle is outrageously useful. Efficiently boil water for a quick meal, cup of tea, or that requisite morning cuppa joe. 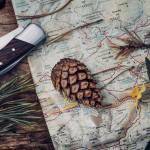 Weighing in at just 5.8 ounces, it makes the cut for both car camping and backpacking trips. 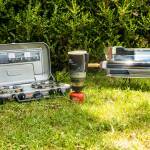 And, while it works great on a camp stove, you can also place it directly over the fire. I think we can all agree: The worst thing about any meal is dirty dishes. This is especially true while camping, but this collapsible kitchen sink makes washing up easier. Folding down into the size of a large deck of cards, it’s equally useful backpacking and at the campground. Soak dirty dishes in warm water, rinse efficiently, or fill for a large, impromptu dog bowl. The possibilities are endless. Imagine biting into a warm, freshly baked muffin or devouring a bowl of perfectly steamed veggies. And did I mention this is all happening from the comfort of your campsite? Yep, that’s all possible with the GoSun. Using solar power, the GoSun can bake, steam, roast, and sauté an entire meal in as little as 20 minutes (in direct sun). From apple crumble to chicken stir-fry, this handy gadget will take your camp cooking to the next level. Anyone heading into bear country needs to take proper precautions with their food. When done properly, bear hangs work well. But, often, you end up camping in places where bear canisters are recommended or trees are sparse, as I did this summer outside Lake Tahoe. We made use of the BearVault, which worked like a charm but can be a bit burdensome to pack. And while we haven’t yet put the Ursack to test, it gets rave reviews and was given a thumbs-up by the Interagency Grizzly Bear Committee. Nothing elevates a camp meal like some quality spices. 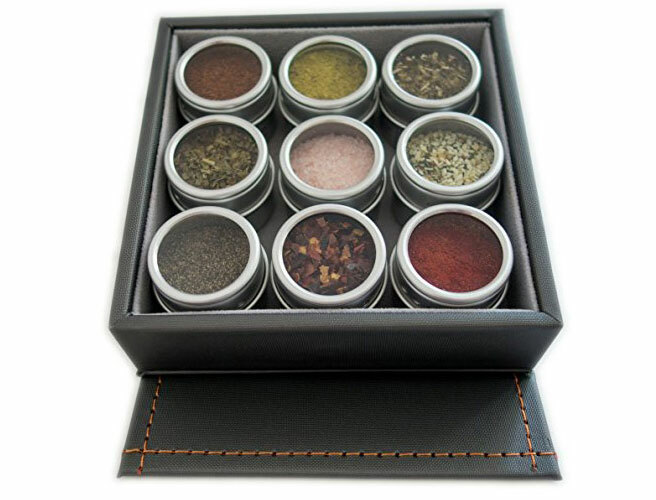 And this kit has everything you need to get started, from Himalayan salt to honey crystals. Best of all, they come in easy-to-use magnetic tins that can be stuck to the inside of your van, truck, or camp chuck box. And for backpacking, just pick out a favorite and toss it in your bag. Never again suffer from bland camp cooking. Hot sauce is always the answer. This bottle (and cap!) 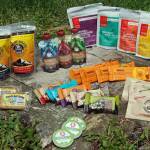 works for backpacking, travel, or spicing up camp meals. 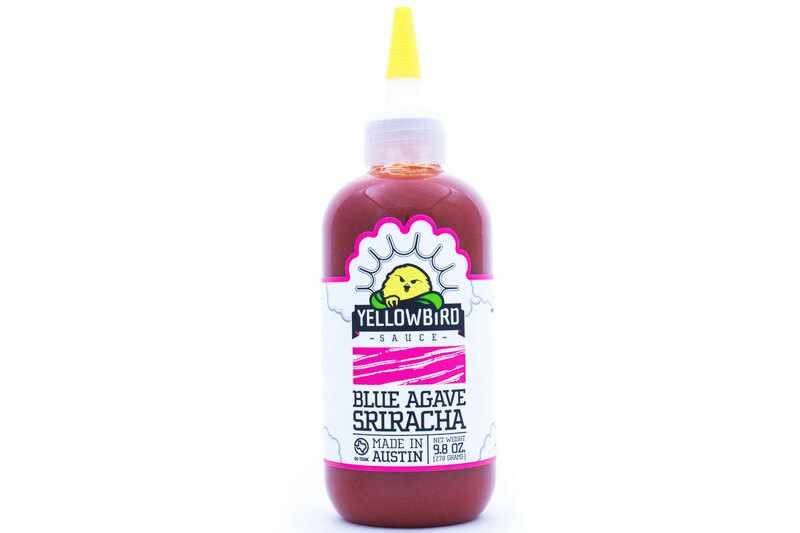 A bit like a spicier version of the cult favorite Sriracha, it’s great on everything from scrambled eggs to cold cut sandwiches. A perfect camping stocking stuffer if we ever saw one. A good multitool is indispensable. And one that weighs in at a scant 41 grams is downright amazing. 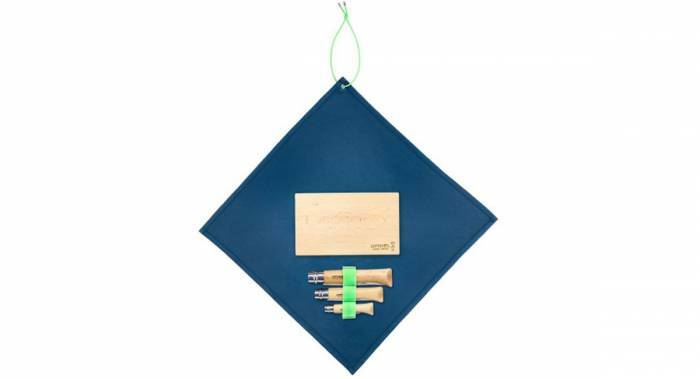 Made of German steel and constructed in Switzerland, this handy pocket tool has a bit of everything, including a fork, screwdriver, fish scaler, square, wire cutter, ruler, hexagon, screw wrench, and more. This is the epitome of an EDC (everyday carry). Get one, give one, and be ready for whatever life throws at you. No, you probably won’t bring this grill to your campsite. But you will bring its results. We’ve been using the Traeger Pro Series 34 Pellet Grill all fall to prepare smoked salmon (from a springtime spent in Alaska), venison, and beef jerky to carry hiking, backpacking, and hunting. The results have been amazingly delicious, and the grill also ramped up our backyard BBQs. 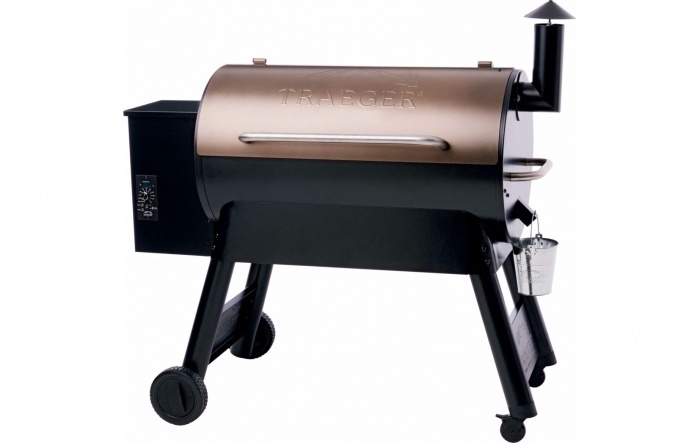 The Traeger is made in the USA and is of burly build quality. This one has resulted in consistent temperature control and plenty of smoke at low temps. For the camp chef, this is a great backyard addition that will result in delicious snacks on the trail.